Aria is a region centered on the city of Herat in present-day western Afghanistan. In classical sources, Aria was often confused with the greater region of ancient Ariana, of which Aria formed a part. 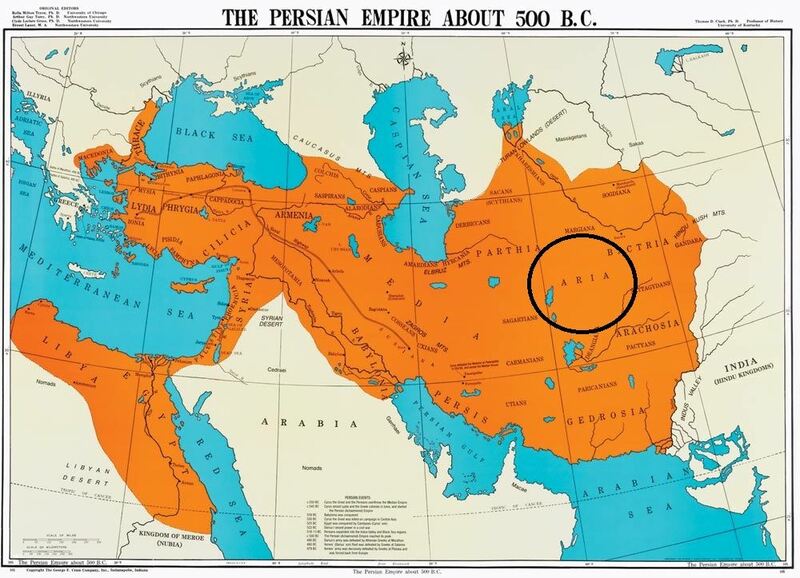 Aria was an Archaemenid satrapy, which enclosed chiefly the valley of the Hari River and which in antiquity was considered as particularly fertile and, above all, rich in wine. The region of Aria was separated by mountain ranges from the Paropamisadae in the east, Parthia in the west and Margiana and Hyrcania in the north, while a desert separated it from Carmania and Drangiana in the south. It is described in a very detailed manner by Ptolemy and Strabo and corresponds almost to the Herat Province of today's Afghanistan. Its original capital was Artacoana (Ἀρτακόανα) or Articaudna (Ἀρτίκαυδνα).